With E3 approaching rapidly, we take a look at Sony’s press conference from E3 2014 to see how it turned out in the end before we look forward to next week. After a great start for the PS4, Sony came into this press conference with a ton of momentum, plenty of clout, and a ton of things they could show off and talk about for the hour and 45 minutes that this event lasts. This is also the first E3 press conference for Shawn Layden, the new CEO of SCEA that is replacing Jack Tretton and his beloved presentations over the last several years. He doesn’t take over the entire show, but shares it with a number of Sony executives who have their own segments to show off trailers, demos and make announcements. This leads to an interesting show where each presenter can inject their own personality into their segment, which is not new for Sony press conferences. Let’s move onto the show itself. You’ll be able to play Destiny first on PlayStation with June 11 Alpha and July 17 Beta – True for the Alpha that was only available for PS4 and PS3. The Beta had two phases with PS4 and PS3 getting in on July 17 that went offline on July 21 before returning for a second phase for all consoles on July 23, so that’s mostly true for both pre-release versions of the game. Invite friends to play Far Cry 4 with you without owning the game. – Not really true. The Keys to Kyrat feature lets you send one of ten codes to a friend so they can join you for a two hour session after downloading a special co-op demo of the game, which is a much more complicated version of that idea that has since been removed so that they don’t need a code in the first place. Plus, the PS4’s Share Play feature essentially allows for the same feature with no download required for a smaller one hour session. Exclusive Last of Us-themed dungeons and enemies in Diablo III: Reaper of Souls: Ultimate Evil Edition – True. The Last of Us-themed Nephalem Rifts have a chance of appearing for Adventure Mode players and there is also a Shadow of the Colossus-inspired armor set that players can get for more Sony fun in the game. 30 day exclusive beta and character class level for Dead Island 2 – N/A. The game has disappeared since last E3, so we don’t know if this is still true or not. Play the Battlefield Hardline beta first on PS4 – Mostly true. Xbox One players were not allowed to play in this first beta, but PC players could play just fine since Sony doesn’t really care about locking out them. 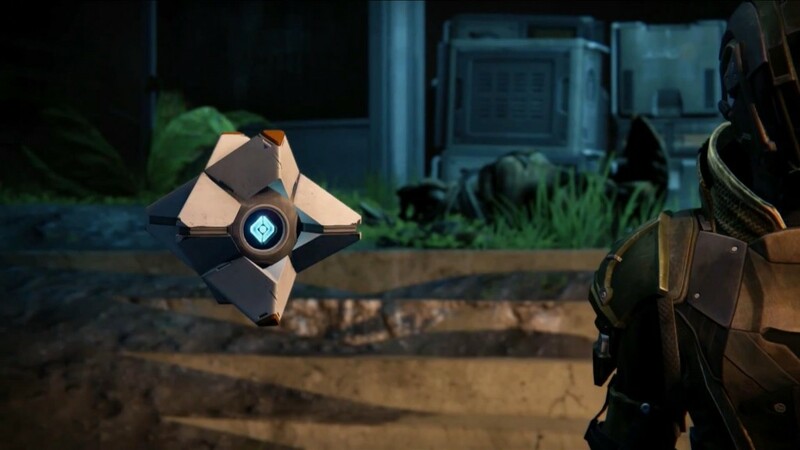 Exclusive content in Destiny – True. The amount of exclusive content is extensive for the base version of the game and the two expansions that have released since then includes even more, though the one caveat is that some of this stuff might come to Xbox this fall at the earliest when it is a bit too late to really make a difference for those that have been playing the content-light game. Grim Fandango Exclusive – Mostly true. It also released on PC and mobile, but it has yet to release on any Xbox platforms. Upload Share Videos to Youtube – True. Firmware Update 2.0 added the ability to upload videos to Youtube for an easier way to access those videos. PS Now enters Open Beta for US and Canada July 31 on PS4 – True. It launched for PS4 in both countries on time. PS Now on PS3 and Vita “Shortly After” – True if two to three months later qualifies as “shortly after” for you. The PS3 open beta launched on September 18 and the Vita open beta launched on October 14 alongside the release of the PlayStation TV. More Than 100 Vita titles in development – True. From my count, more than 100 titles have been released since the E3 press conference, so that seems to be accurate. PlayStation TV access to music and video streaming services – False. The earliest additions to the PlayStation TV compatibility lineup of apps were Crackle and Crunchyroll with Hulu Plus and a few minor video streaming apps, but there are no music apps and the major video apps like Netflix and Youtube are nowhere to be seen. Powers available in December. First episode for free. Season free for PS+. – False on the release date. True for everything else. The series debuted in March with anybody being able to watch the first episode for free on a variety of services and PlayStation Plus members could grab the season pass for free to get the rest of the episodes as they released over the next few months. Ratchet & Clank Movie & Game out in first half of 2015 – False. The movie has been pushed to April 24, 2016 and the game went with it, which recently had an unveiling and looks quite good. GTA Online Saves Transfer from old consoles to PS4 – True. Though people were initially confused whether this included the single-player saves or not, it’s clearly said to be for the online mode where your info is stored on Rockstar’s servers and easily transfers across to the PS4, Xbox One, and PC versions. Variety. Sony swiftly moved from shooters to beautiful indie games to LittleBigPlanet and back without having to limit any of these games to just one special segment like Microsoft’s press conference did with its ID@Xbox segment for all of its indies. Having a handful of executives to announce their titles seemed to help out a lot in this aspect as Andrew House, Shuhei Yoshida, Adam Boyes, Shawn Layden, and Scott Rodhe could talk about a variety of games in their segments that let their personalities flourish. No Man’s Sky. Making its debut at the unfortunate VGX award show in December 2013, this extremely ambitious title from Hello Games, makers of the Joe Danger series, has been a showstopper everywhere it has been shown and this press conference was no different. Sean Murray made a great and nervous speech about how this game was derived from the classic sci-fi that he loved to read as a kid for the escapism they offered and that the game was almost infinite with the way it procedurally generates everything. It’s great that the game largely goes into hibernation between events so that the hype hopefully doesn’t get to be too big, but it’s sure to become an issue with this game supposedly launching later this year. It’ll be interesting to see what is in store for us with Sony’s press conference next week. Shawn Layden’s segment. Shawn did a fine job with his first public appearance as the new CEO and President of SCEA with the only issue being his weird PowerPoint presentation hand gestures that need to go. It’s that his segment was full of classic E3 Sony numbers, slow discussions of hardware announcements and PSN services, and some other things that caused the momentum that they had with game after game being announced or shown to halt for the fifteen minutes it lasted. Plus, there were the two mentions of his love for Vib Ribbon to a mostly North American audience that never got a native release to understand what was to love outside of the niche that imported it from Europe or Japan, which was resolved later on with its release on PSN to make up for that oversight. Arrogance? Rewatching this press conference, I had forgotten that Andrew House constantly takes shots at Microsoft with his talk about making their camera accessory an option and adding value to it with Project Morpheus that sticks out like a sore thumb. Of course, this was more of a welcome thing the previous year when Microsoft’s Xbox One debacle needed one of the other companies to counter some of their bad stances, but that was mostly done by this point in time and comes off as fanservice to Sony fanboys that wants their side to take some shots at the enemy so they can brag about it later. This is in contrast to Phil Spencer being mostly congenial when mentioning Nintendo and Sony at the start of the Xbox press conference with Phil being pretty open about enjoying games on competing consoles. Broken Games. This has been a theme for this E3 with these recaps as Sony has a few broken games of their own. Driveclub is the clear standout title as it seemed to work fine for reviewers in limited numbers before the launch where the swarm of players caused major issues with the network features that were broken for about a month or two, but have been pretty good since early December with a good mea culpa with some free DLC and season pass owners getting an extension of content on their end. The PlayStation Plus version still has not really been talked about since then outside of cryptic mentions in update notes that they’re always tightening up the servers for the upcoming PlayStation Plus edition, which is an obvious black mark after talking up that PS+ bonus at E3 2013 as a major offer for their service. LittleBigPlanet 3 was a surprisingly quiet game to launch with issues that have not made as big of a splash as Assassin’s Creed Unity, Driveclub, or Halo: The Master Chief Collection, but it had its share of issues with online connectivity problems, issues with importing DLC from the prior games, and a host of others that have been tackled with various big updates since then that seem to have fixed most of it, but I’m not 100% sure on that. Non-Gaming Content. We know that many people use their consoles for non-gaming applications, but we don’t really need to have eight minute segments dedicated to a new TV show for PlayStation Plus members and a trailer for the Ratchet & Clank movie as there are better avenues for that stuff elsewhere. We also don’t really need Shawn’s number talk where he has to bring up impressive stats, wait for applause, and move onto the next stats, such as this is an investor meeting where this information is vital. All of this could easily be handled with a few posts on the PlayStation Blog and on their Youtube channel to help streamline the show to focus on the cool stuff. Microsoft’s presentation was easily better in this regard. With Sony having the longest show of the day, it’s no surprise that a ton of things were shown and talked about, but it still had some rough edges when they stopped announcing or showing games to make sure we know how many multiplayer sessions there have been on the PS4. That stuff was a speed bump on the fairly smooth road of constant announcements of interesting games and new trailers for games we already knew about to get us excited for what they have to offer in 2014 and beyond. No Man’s Sky was a particular highlight for me, as noted in its mention above. It’s the sort of game that I see and instantly have intense thoughts about all of the possibilities that makes me dread the long wait while hoping for some sort of Cartman-style way to freeze myself until its release because that sounds like the best way to approach that issue. Uncharted 4 was the best way possible to end the show, though the recent delay to 2016 is an unfortunate downside to that teaser trailer. It looks like we should have a lot to look forward to for this year’s show, though you’ll have to wait for our preview to get further details on that. Our pre-E3 coverage continues with the Nintendo installment of our Hindsight series capping off our look back at 2014’s press conference. After that, we’ll be previewing this year’s press conferences from each of the big three with a broader third-party preview for everybody else to give you an idea of what we expect and/or hope to see at the show.